You spend the majority of your week focusing on what your boss wants. You don't get to see your family enough. You're stressed out about achieving somebody else's goals. But it doesn't have to be that way. Becoming financially independent means answering to yourself and doing what YOU want to do. It means having time for the people and things you care about. And it's never too early (or late) to start. 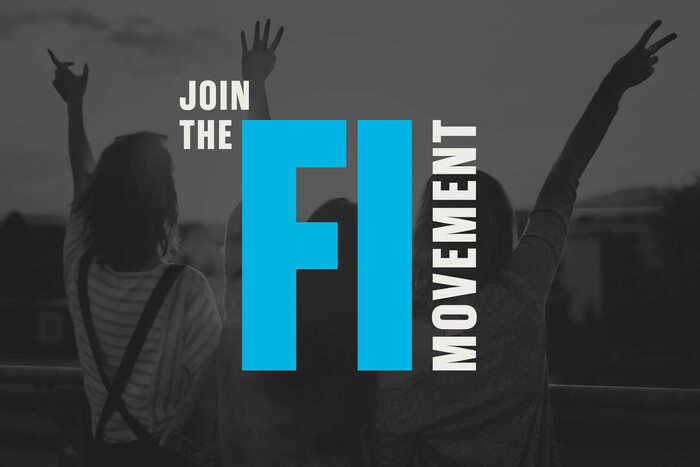 It's time to join the FI Movement. Wouldn’t it be nice if you woke up tomorrow and didn’t have to worry about earning money ever again? That’s the end game of the financial independence (FI) movement. 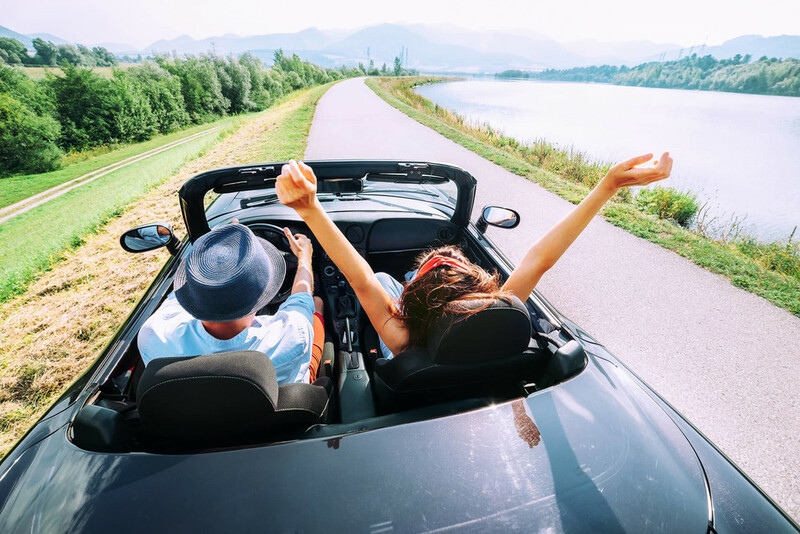 While you probably won’t experience financial independence first thing tomorrow, you can achieve it in less time than you think by working hard and making smart money moves. 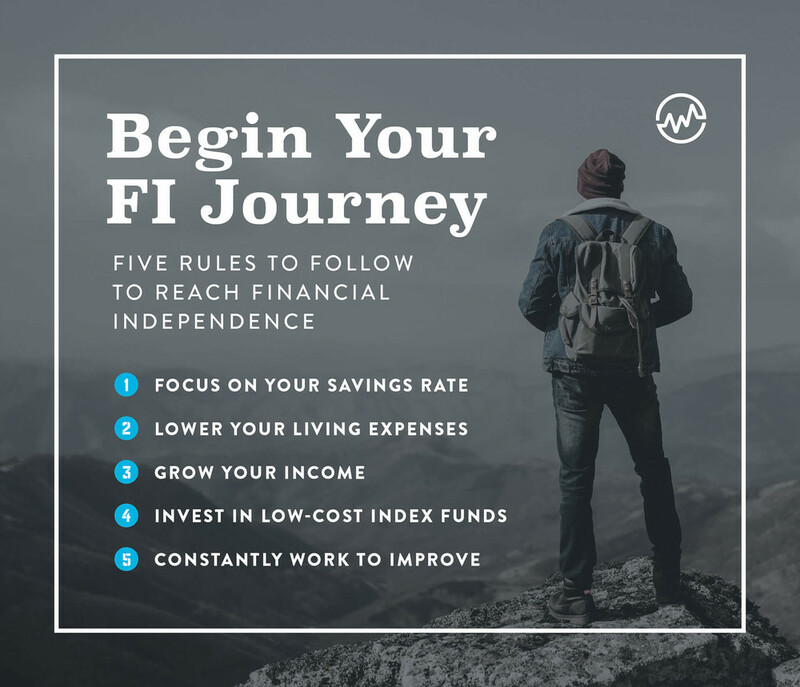 Once you learn 5 rules to help you achieve financial independence, you’ll see how simple and rewarding it will be to get started on your own FI journey. 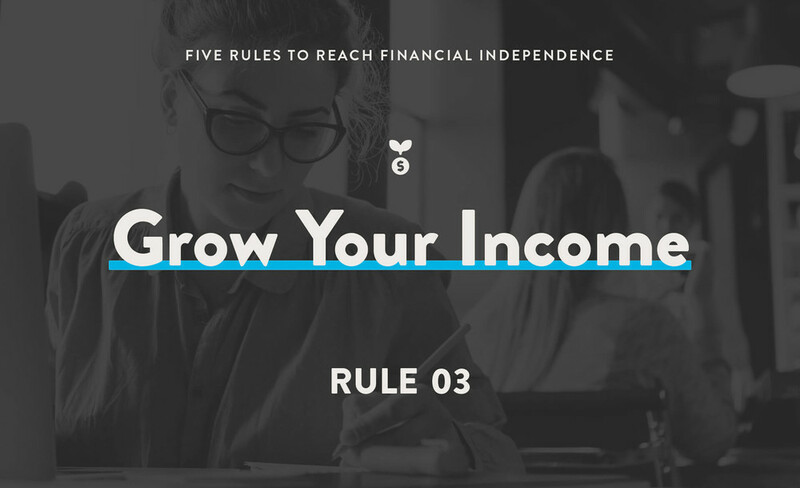 The most common definition of financial independence within the FI community is the ability to live off of your assets without having to earn an income. To achieve this goal, most people aim to put away enough money to cover 25 times their annual expenses. The 25 times annual expenses benchmark is based on the 4 percent rule of thumb. This rule states you should be able to safely withdraw 4 percent of your retirement portfolio in the first year of retirement. Then, you adjust that amount for inflation each year thereafter. This protects you against the risk of running out of money during a 30 year early retirement. But you also don’t have to quit earning money just because you’re financially independent. You can always keep working. Being financially independent just allows you to switch to a more fulfilling line of work. That means spending more time at home with your family and focusing on tasks that matter to you—not just your boss. 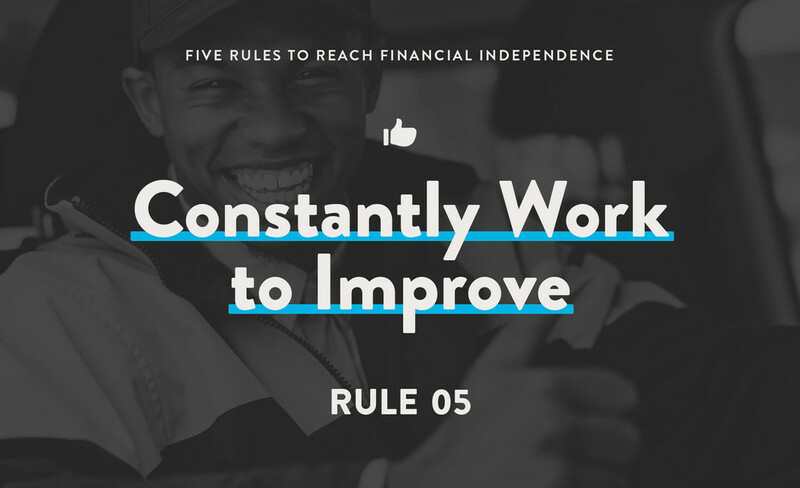 If financial independence sounds like the star you want to shoot for, here are 5 rules to follow to speed up your journey. Your savings rate is the most powerful tool you can use to achieve financial independence. 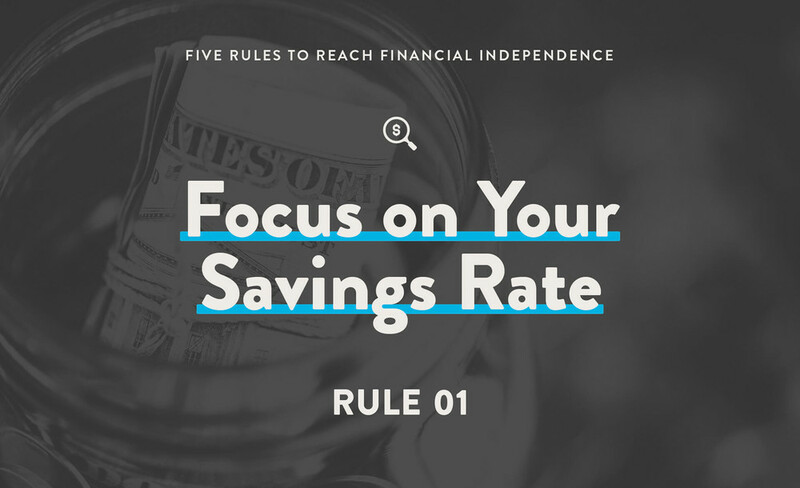 While definitions vary from person to person, your savings rate is typically defined as the amount of money you save toward financial independence divided by your take-home pay. 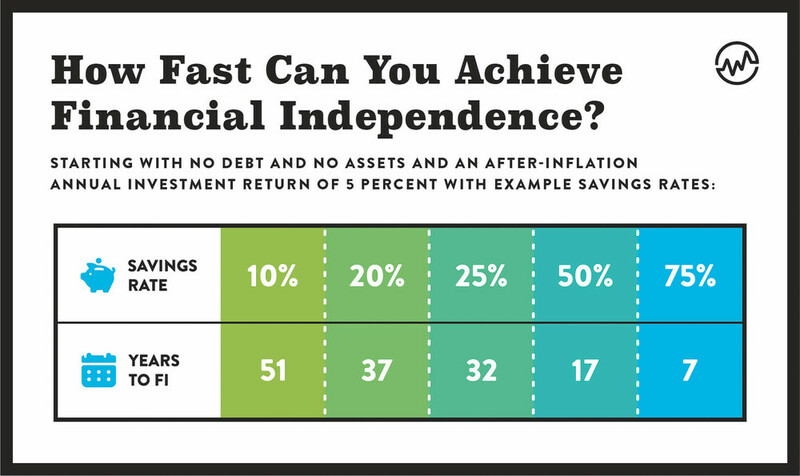 The higher your savings rate is, the faster you can achieve financial independence. Lowering your living expenses benefits you in 2 big ways. First, it frees up money to save—increasing your savings rate. 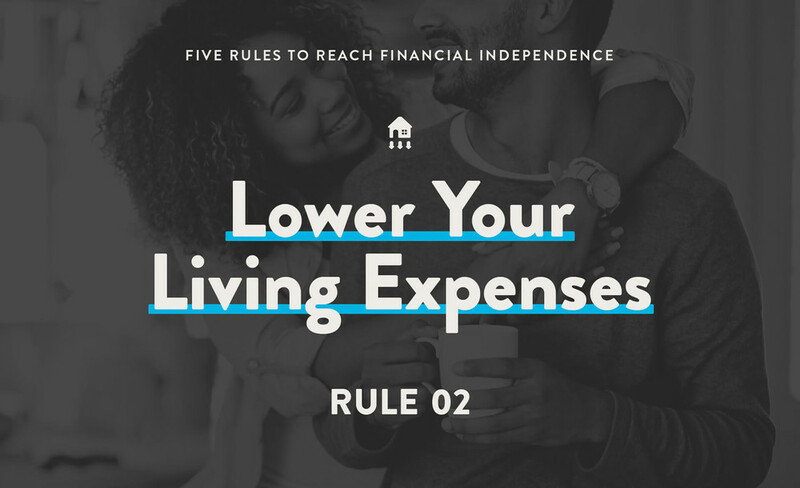 Secondly, lower living expenses means that your nest egg needs to provide less income. 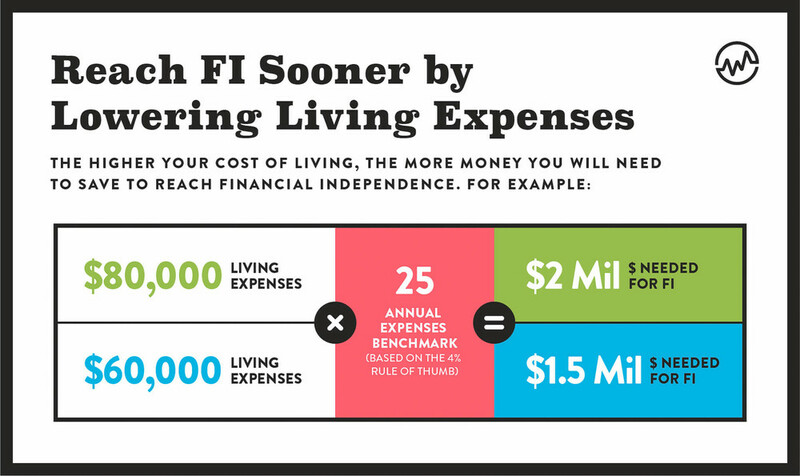 You will reach FI much sooner since you’ll have more money to save and you won’t need to save as much. Take a close look at every single expense you have and evaluate the value you receive from it. If you’re paying more than the value you receive from an expense, find a cheaper option or cut the expense entirely. No expense is sacred. You can cut or replace any expense if you don’t receive enough value from it. Ultimately, your goal is to receive the most value for the money you spend. Remember that value is different for everyone. Many people buy into the myth that achieving financial independence means sacrificing everything you love. But financial independence doesn’t require signing you name in the devil’s book. It just takes some planning. You can keep spending money on what matters most to you. Financial independence is about optimizing your expenses based on the lifestyle you want to live so you can free yourself from the need to earn income. Lowering your expenses is relatively easy, but you can only cut your expenses by so much. On the other hand, your income is technically unlimited. It may not seem like you have unlimited income potential if you’re working at a dead-end nine to five job, but you do. You’ll have to make changes. You may need to work overtime, learn how to invest, start a side hustle, or even create a full-blown business. Once you realize you can earn as much income as you put your energy into, you can start earning more money and rapidly increase your savings rate. Income and expenses are important, but protecting your investment returns offers a huge opportunity to accumulate wealth faster. Index investing for the long-haul allows you to share in the returns of the stock market while remaining diversified. When you don’t own stock in individual companies, you don’t have to worry as much about an investment going bankrupt and losing everything. You can remain positive knowing that the stock market as a whole has consistently gone up in the past and should continue to do so over long periods of time. Investing in low-cost index funds also allows you to manage the fees you pay. The fees you pay on your investments reduce your returns every year. Those fees steal some of the compounding returns you could have otherwise used to achieve financial independence faster. 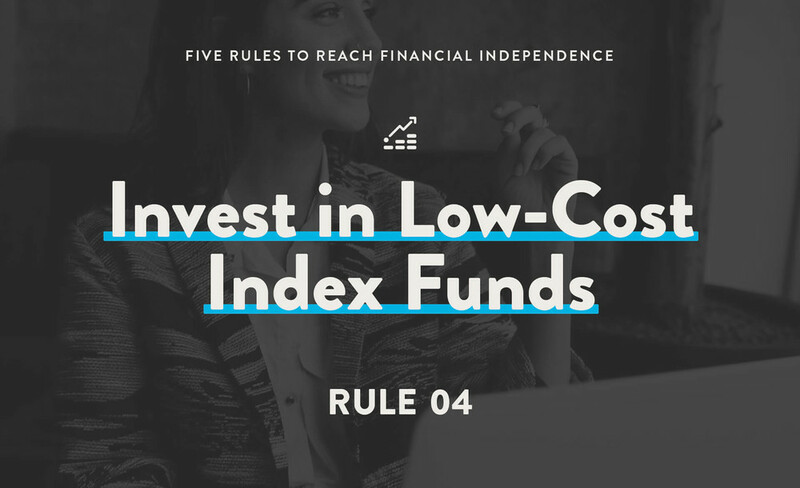 By picking extremely low-cost index funds, you’ll get to keep more of the stock market’s returns for yourself. Working toward financial independence isn’t a set it and forget it goal. While you may make a huge effort to optimize your finances in the beginning, both your life and your finances will always be changing. As life goes on, you’ll need to continue optimizing your finances. One way to do this is by focusing on getting just one percent better on a regular basis. One week you can try to cut your expenses by one percent. The next week you can try to grow your income one percent. If you’re still in debt, start by getting out of (bad) debt. Work on fixing your credit history. Then, once you’re on the savings path, you can do a bunch of things to speed up your journey. You can re-negotiate your bills. You can nix insurance that wastes money. There are at least 50 ways to improve your finances by at least one percent. Pick one to tackle each week or month and take action. Once you’ve completed all 50, start over and see where there is still room for improvement. Starting down the path to financial independence doesn’t have to mean making drastic changes right away. That’s unsustainable. Instead, commit to improving your finances steadily so that you can increase your savings rate and reach financial independence faster. When you finally wake up one day and realize you no longer have to earn income to financially support yourself, you’ll be glad you did. 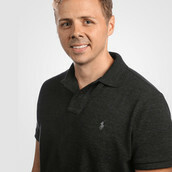 Jonathan is the co-founder of the ChooseFI podcast. Started in January 2017 it is one of the fastest growing business podcast in the country.